"I was fifteen in 1942, and I was five foot three, which is the tallest I ever was. I had jet black hair and a smile as big as day." Readers and moviegoers have read and seen many growing-up-in-the-bigcity- then-being-drafted-into-World-War-II tales, both real and fictional, but none with the visual pizzazz and feisty humor of Lucky in Love. 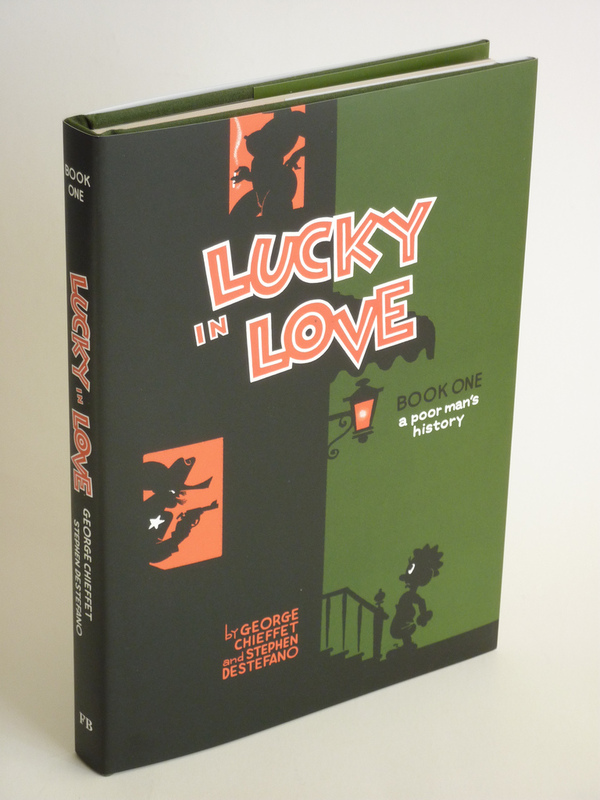 Co-created by George L. Chieffet (script) and veteran cartoonist and animator Stephen DeStefano (plot and art), Lucky in Love is almost the flipside to dramatic works on the same theme such as Alan's War and You'll Never Know. Elegantly drawn in a supremely confident, lively, cartoony black-and-white style that recalls Milt Gross as well as classic Disney animation and comics, Lucky in Love is a unique coming-of-age story that follows its lovable eponymous hero Lucky Testatuda from his rascally teen years in Hoboken, New Jersey's Little Italy to his induction into the air force and subsequent wartime experiences.